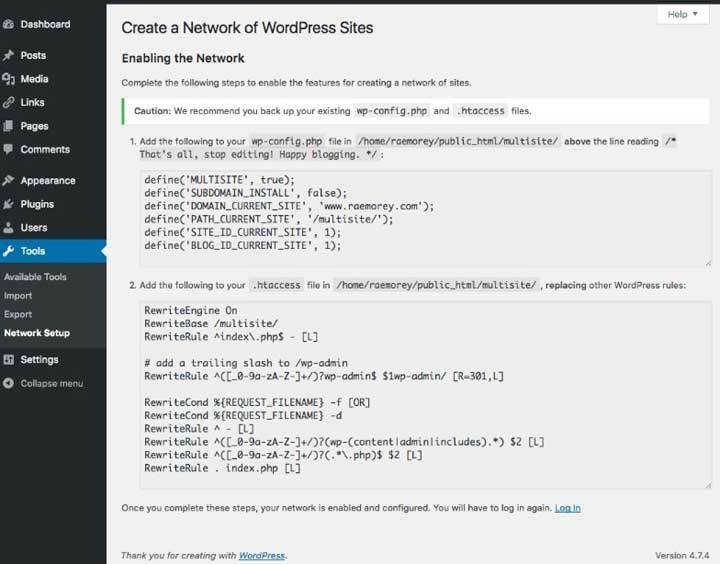 WordPress has a built-in feature that lets you create multiple sites on the same WordPress installation. 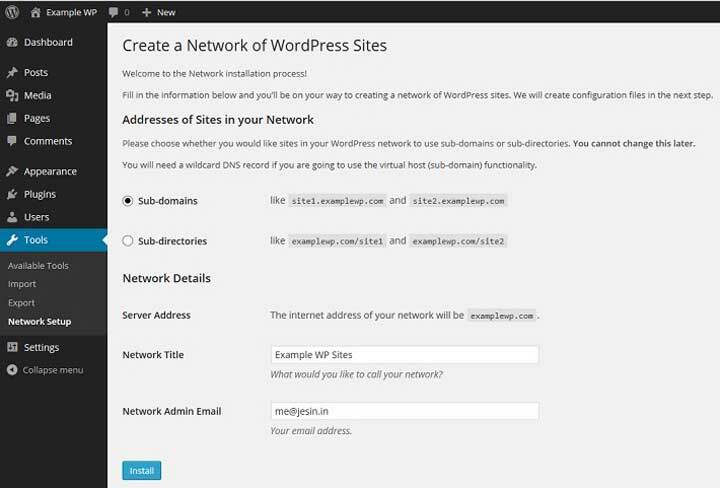 This article will act as a guide to install and configure WordPress Multisite. Why You Needs WordPress Multisite? 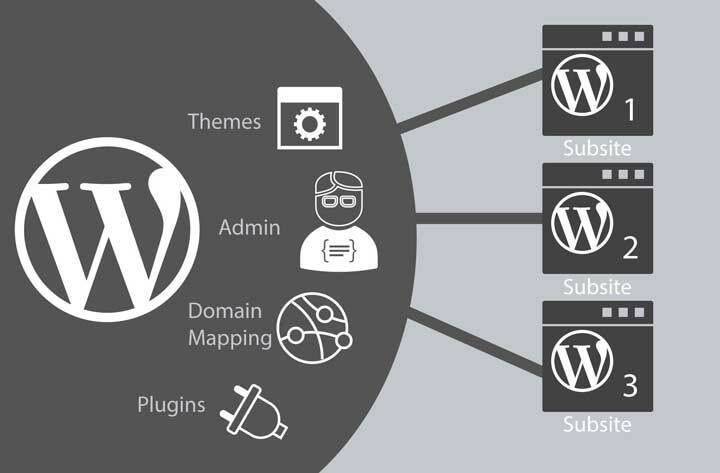 Multisite allows you to run and manage multiple virtual sites on a single WordPress installation. 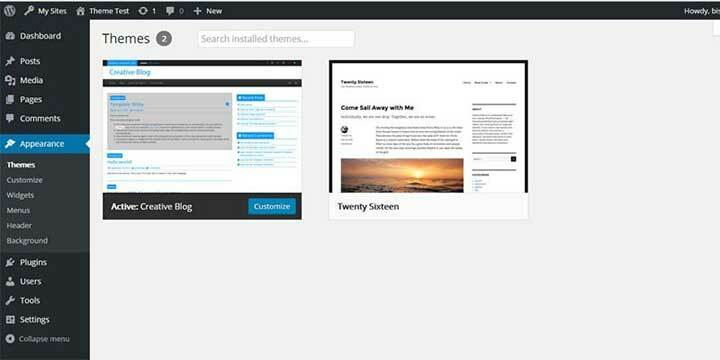 Multisite has been with un since WordPress 3.0 and is a continuation of WordPress Multiuser project or WPMU. You can create any number of sites and manage them easily with the same login credentials. Moreover, other users can also sign up and create blogs on the domain if you wish to allow it. The installation of Multisite is not much complicated than installing WordPress itself. The installation process is almost the same. The folder structure is the same, and so are the core files and code base. And the themes and plugins you use will be stored just once regardless of how many sites use them. This will reduce the server space that would be impossible to reduce if you were using different WordPress installations. It’s easier for the network administrator to manage multiple sites. Each standalone site will have its admin who can manage only that particular site. 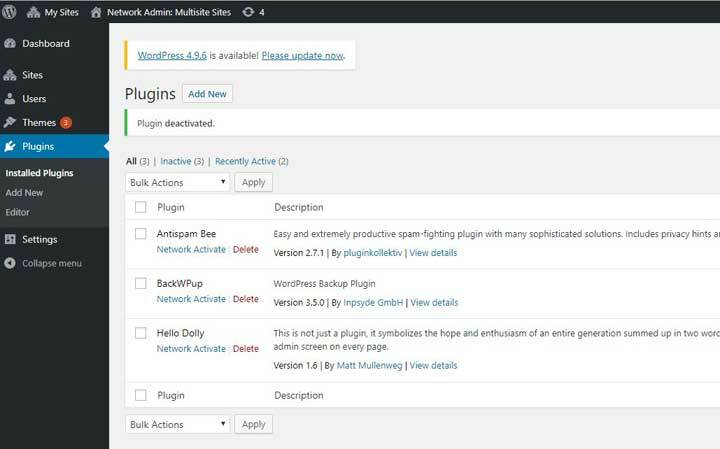 The plugins and themes you download and activate can be used for multiple sites. No need to download them again separately for each site. The updating is easy. One master install and you’re done. The sites on the network will go down altogether if one goes down. This is because the same resources are shared among all the sites. If you are a beginner, managing resources can be hectic. If anyone of the site on the network gets hacked; all the sites get hacked. There are plugins that may not work well. When to use WordPress Multisite Network? Schools: Different departments with different sites. Multinational Companies: Different locations, different sites. Development: Showing clients their site’s work in progress. These are not the only ones. Don’t worry if these are not the ones you’re looking for. If you think that you need Multisite, do a little research and see if it fits your need. If you know WordPress well and are good in managing and hosting domains and upgrading networks; Multisite may not be difficult for you. If you are a beginner, you may want to rethink your decision and take your time to truly know WordPress. If you want to manage only a small number of sites. Multisite works best if you have over 50 similar sites. 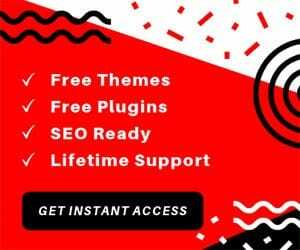 Some plugins and themes are not Multisite compatible. The hosting costs may be a bit too much. Since all the sites on a Multisite network will use the same resources, the first and the most important thing you’ll need is a good WordPress hosting. If you want to have only a couple of websites, then you can stick with using shared hosting. As you sites grow, you may need Virtual Private Server Hosting. It is an independent partition of a physical server. You’ll get more control and independence. Finally, you’ll need to have good knowledge of WordPress if you want to use Multisite and manage it. Moreover, you will need to know how to edit files using FTP. If you have decided to use Multisite. It’s time to activate it. This will differ depending on whether if the site is new or already established. Whether your network is new or already established. Whether the network is for personal sites or you’ll let other people set up or buy. Choosing subdomains will make the URL look like http://sitename.network.com, whereas using subdirectories will make it look like http://network.com/site. If you have an already established site, you can choose the subdirectories option. Install WordPress on your server or local machine. Open the file “wp-config.php.” You’ll find the file inside the folder that you’ve installed WordPress. Search for the line “/* That’s all, stop editing! Happy blogging. */”. Go to Tools -> Network Setup. Choose either subdomains or subdirectories depending on your preference. Set the title of your network and email of the administrator. You’ll be in Network Setup page. You’ll find some codes that need to be added into crucial files. Open wp-config.php and .htaccess and copy the codes provided. Make sure you follow the instruction provided. This will install Multisite. You’ll have to log out and log in again to see the Multisite dashboard. If you want to convert your already established site to a Multisite network, you won’t be able to choose subdomains or subdirectories. Subdomains will be selected as default. This is to prevent the clash between URLs. The other steps are the same. Go to My Sites -> Network Admin. Go to Sites -> Add New. Enter the address, title, and the email address. A new site will be created. You can find the list of the site on Sites -> All Sites. Go to Themes -> Add New inside Network admin screen. Inside Network Admin, click Sites. Find the name of the site and hover the cursor over it. Click Edit. Click on the Themes tab. 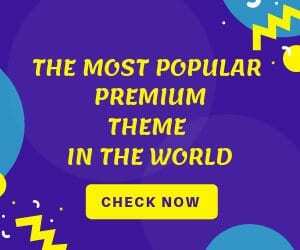 This will show you the theme settings for the site. Find the theme you want to install and Enable it. Now, if you go to the site’s administrator screen, inside Appearance -> Themes, you’ll find the theme you’ve just enabled. Plugins can only be installed by the network administrator. These steps are for establishing a plugin network wide. Inside Network Admin, go to Plugins -> Add New. Find and install a plugin. Click on Network Activate when inside Installing Plugin screen. Install a plugin from Plugins > Add New inside Network Admin. Do not click on Network Activate. Click on Return to Plugin Installer. Go to the admin page of a single site and enable the plugin there. You cannot activate or deactivate plugins as an admin of the single site.